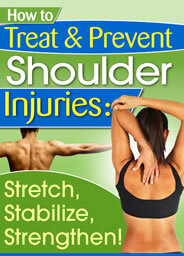 Thank You for Ordering The Ebook How to Treat and Prevent Shoulder Injuries. 1. Your credit card statement will show a charge from "Clk*Bank.com" - our authorized billing agents. 2. Please keep a copy of your Order Number for this transaction. This will ensure a quick response to any inquiries you may have in the future. This Ebook is a PDF file. You must have a current Adobe Acrobat Reader installed on your computer. Most computers have this program. If you are not able to open the ebook, please download your free copy of Adobe Acrobat Reader by clicking on the image below.